Tenant screening. Getting the proper tenants can help ensure the safety of your property, and will raise property values and reduce turnover rates. Market awareness. Good understanding of the rental market will give you leads for getting good tenants and a fair rate for your property. Employee training. Property management is a shifting industry, and constant employee training will ensure that HOAs are on top of their game. Water and waste management. Wise water use and waste management are to be expected when it comes to a region that’s experiencing an environmental crisis. Tenant/homeowner engagement. Activities keep residents engaged and happy with their communities, and this raises rental rates and helps improve tenant retention. To know more about our southern California property management services, call us at (888) 828-9444. Even properties in Riverside are not immune to pest control issues. When bugs and other pests crawl into rental properties, it is sure to cause conflict as to who is responsible for pest control. To avoid conflicts, enlist the help of a professional Riverside property management team. Make sure that your property is cleaned regularly. Ants and cockroaches are attracted to unclean areas of the house. The property should never have stagnant garbage lying around for more than a day. Bed bugs are the bane of a property manager; they’re notoriously hard to kill and can be transported easily. Check if your city or state has enacted any laws about bedbug infestations in rental properties and comply with those laws in the event of an infestation. For inquiries on our Riverside property and HOA management services, kindly contact us at (888) 828-9444. Property owners and managers in Orange County need a vacation every now and then. Before they leave, they make sure that proper security measures are in place and fully operational. But how secure are these? We advise that you hire the services of a professional Orange County property management team to make sure that your property is safe. There are many threats to property security, including bored teens who might trash your property. Here are some tips on how to secure your property. If your property has outdoor lights, consider replacing them with motion sensor lights. Lights do not easily deter home intruders, but if your motion sensor lights star blinking, they might think twice before burgling the property. You should also install CCTVs within your property’s perimeter. Intruders are always wary of CCTVs and will likely keep off the property if they see the cameras. Lastly, if crime is a serious issue, consider hiring security guards for added protection. 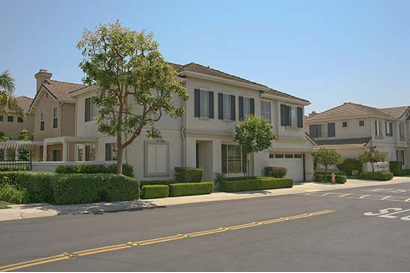 For inquiries on our Orange County property and HOA management services, please contact us at (888) 828-9444. Established communities present unique challenges, regardless of location and the maturity of the community. In places where there is a mix of mature and new, such as Southern California, property management requires the skill and expertise of trained staff members who understand the unique needs of the community. Managers from So Cal Property Enterprises, Inc. are experts in the industry of property management services, as well as state-wide, national legislation, and case law. Moreover, we work hard to implement industry best practices across communities in Southern California, including Los Angeles, Orange County, San Bernardino, Riverside and San Diego. Communities that enlist our property management services can expect not only convenience and promptness when it comes to handling their association’s day-to-day activities, but professional development through seminars and meetings as well. To learn more about our services, as well as the areas we serve in Southern California, call a property management expert at (888) 828-9444 today.